My preschoolers love to explore with magnets! Usually a surprise is involved when magnetic objects are attracted to our magnet wands, which is the best part. 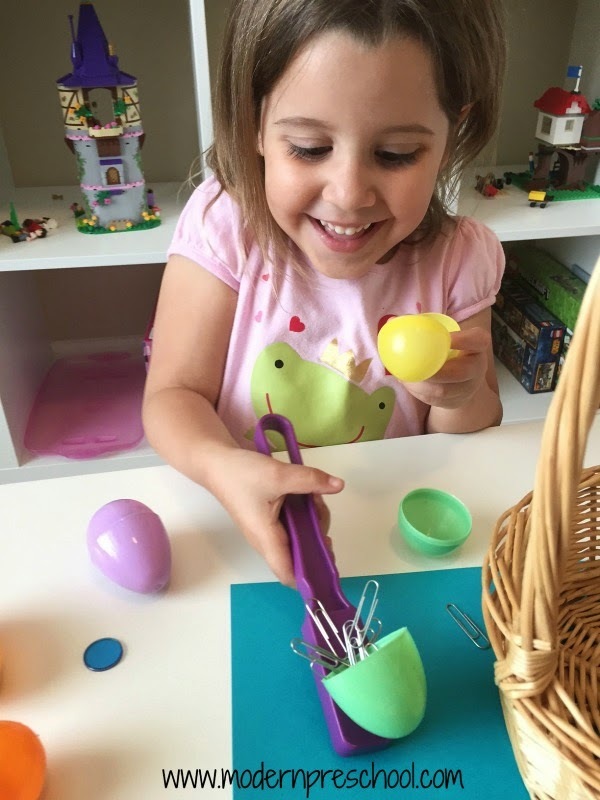 To add a new dimension, we mixed plastic eggs with our magnet wands, and came up with a fun way to figure out which kinds of objects are magnetic and which are not. 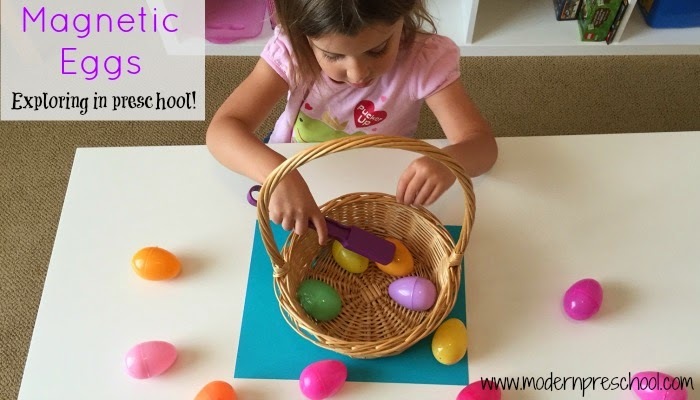 The plastic egg magnetic science activity was a hit at home and at preschool! The supplies are simple and can be changed out to fit your child’s needs, or what you have laying around the house or classroom! We collected groups of objects and added them to the plastic eggs. This is a great activity for little fingers. It takes some concentration because some of those eggs don’t close easily! I made sure that the objects were both magnetic (here’s a fun set!) and not magnetic so that there would only be some eggs that were attracted to the wand. After the eggs were filled, it was time to see see what would happen! After all eggs were filled, it was time to see what happened! It was a super fun surprise when the first egg was attracted to the magnet wand! After the first egg, it was a race to see what other eggs were also magnetic. Each egg was tested with the wand, and then quickly opened to see what was inside. After the first 2, predictions were made before opening the eggs back up. It was quickly discovered that metal objects worked with the wand and everything else did not. The Legos and marbles were eventually tossed to the side and the eggs were filled up again and again with the paper clips, safety pins, screws, and magnetic coins! The activity lasted longer than expected and is set up as an independent table area in our classroom. For even more egg fun, try these activities too! What a great idea! I struggle to think of science based activities and this one is great! Thanks! 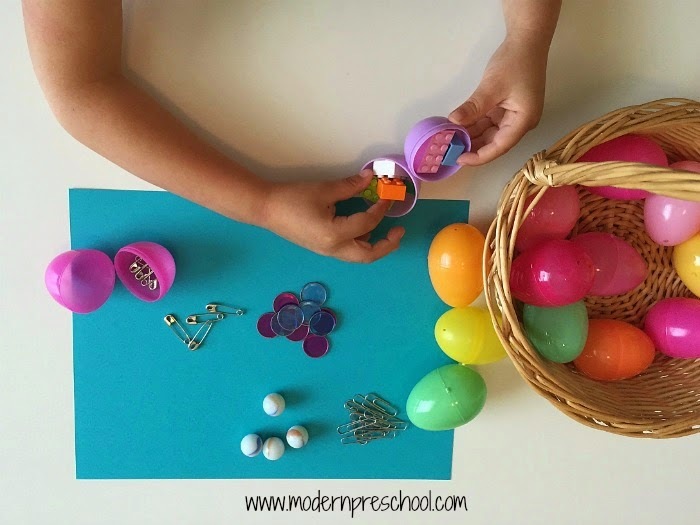 If you pre-fill the eggs, this would be a fun toddler activity too! I'm stopping over from the Thoughtful Spot blog hop… what a great idea! I'm pinning this one. What some great ideas! I bet kids think this just so neat! Thanks for sharing these great ideas! This is so cool! My class will absolutely love this!! Can't beat fun that's also educational. Oh my goodness. I am putting MAGNETS on my shopping list. My preschoolers will LOVE this. Pinned it. Thank you SO much for sharing it at my Wonderful Wednesday party on Ducks 'n a Row,. This post is a gem. Definitely pinning this! 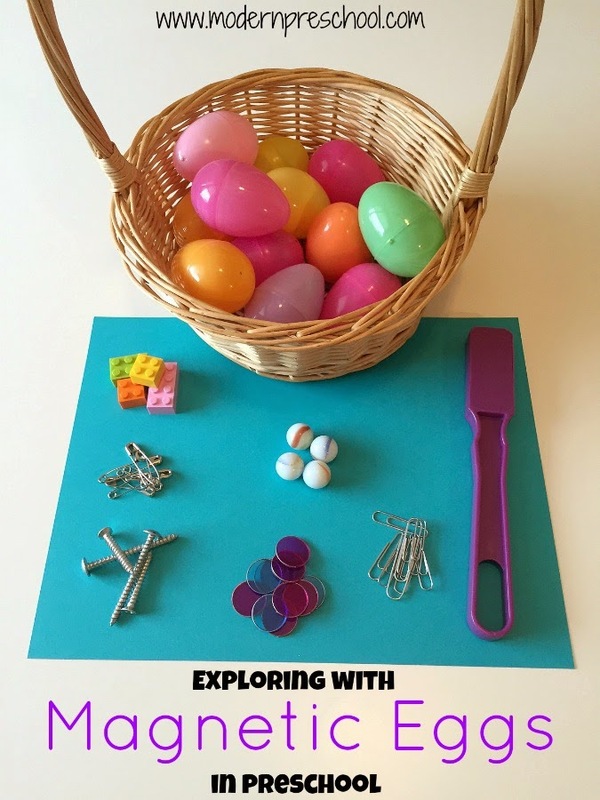 Such a unique way to use those Easter eggs for fun learning. I love this! Thanks for sharing it at Wonderful Wednesday. Hi! Brings back memories of when my kids were little. Thank you for coming to the Inspire Me Monday Linky Party on Monday. I'm Janice, one of your hostesses. What a great idea! Love the pic of your wide eyed daughter! I will be featuring this post at the Thoughtful Spot tomorrow. And love to see your Compassion ad on the side bar. I am a Compassion sponsor too! Would love if you stopped by to check out my Compassion Sundays series underneath the Special Editions tab on my site! Using magnets is such a great idea! Thanks for sharing at Motivational Monday! Hope you will link up again tonight. Love this idea! Thanks for sharing at Workbox Wednesday!! Thanks for this WONDERFUL idea! As a first time Nana with a very smart 18 month old this will make for a marvelous after Easter dinner game! She loves her magic wand. All I need to do is attach a few magnets to the end! Did I say Thanks? What a great idea! I can do so much with this! Thanks!